Moving house can be stressful and exhausting, especially in London. Traveling along the most populated roads in the country can make the moving process slow and tense. 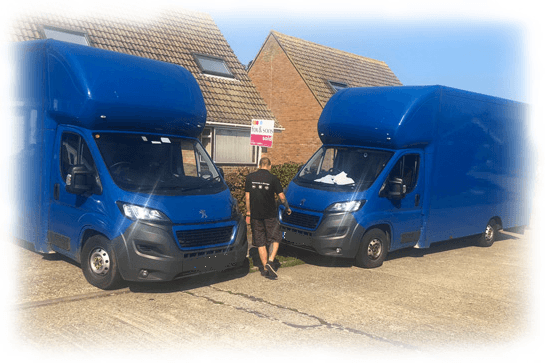 House Removals London make the whole moving process so much easier, offering professional services that can’t be beaten anywhere else in the city. When the final checks are in place and you’re making sure everything essential is packed, the last thing you need if for the movers to be late. Our professional team will be with you at the scheduled time, even during the hectic rush hour traffic in London. Whether your new house is located just around the corner or in another city completely, our quality vehicles and expert members of staff will get your items there at the earliest convenience. At House Removals London, organized packing is second nature to us. Packing is often the most stressful and repetitive part of the moving process, so we offer our packing services to make the move go along much smoother and quicker. We know the best way to organize and pack your boxes, making your life easier when it comes to unboxing in the new house. Boxes, bubble wrap, and brown paper: we have it all. We can expertly wrap even the most fragile items so that they will not break during the transition. The last thing you need on moving day is a miserable group of movers wishing for the weekend. We believe that moving into a new home should be a happy experience and offer our friendly services to make this joy possible for you. We thrive on doing the best job possible, which is why we have such a notable reputation in London. At House Removals London, our services are unparalleled. You can rely on us for a professional and stress-free moving experience. Contact us today, for a free quote that won’t be beaten.